Left and Write: X is for: The X-Files!! X is for: The X-Files!! This show has always amazed me for the fact that, when I first tried to watch it I couldn't stand it. Truth was, I just didn't get it. I didn't get that there was an underlying plot that lurked beneath each episode and that a few of the characters were the ones pulling the strings. 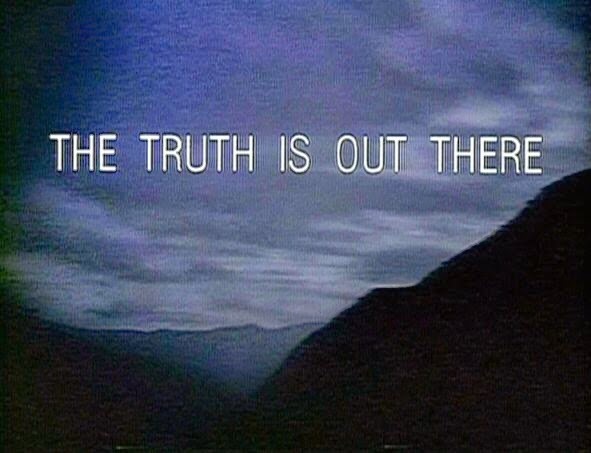 The X-Files ran on the Fox Network from 1993 until 2002 and was a Sunday night mainstay for a lot of people. Heavily inspired by such greats as Kolchak: The Night Stalker as well as The Twilight Zone, The X-Files put a whole new spin on the sci-fi/horror/conspiracy genre. 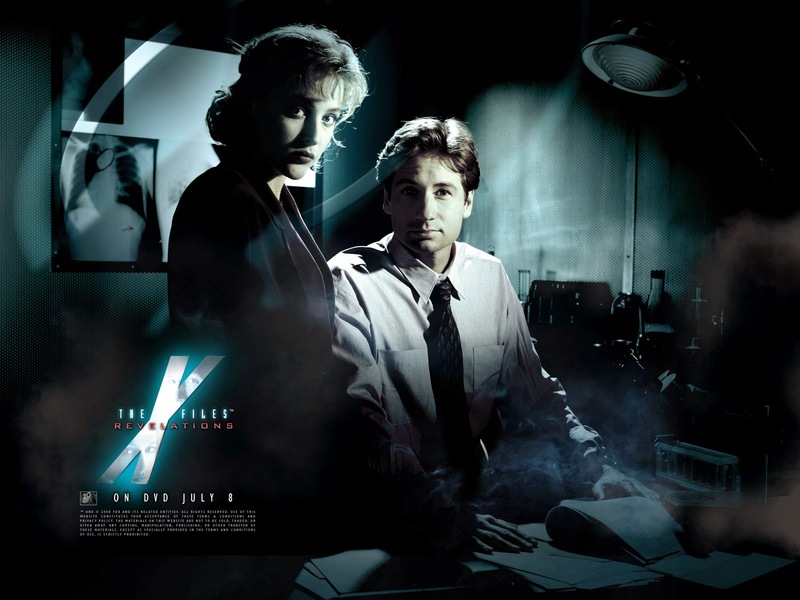 Starring David Duchovny as the conspiratorial Fox "Spooky" Mulder and Gillian Anderson as Dana Scully, the two came across things that would make Carl Kolchak crawl under the bed in fear. 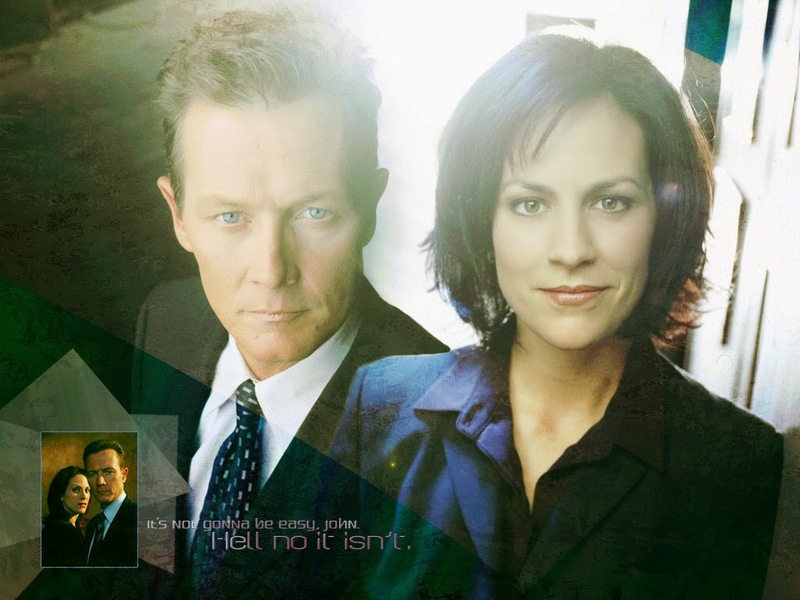 The last two seasons saw Duchovny leave (for the most part) and was replaced by Robert Patrick's John Doggett, who partnered with Annabeth Gish's Monica Reyes. Scully stuck around, but seemed to take on a more Mulder-esque role of cynical conspiracy nut. I remember the first season being a, sort of, "monster of the week" type thing, so I pretty much wrote it off as something that wouldn't last, so I wasn't going to get invested in it. By the third season, though, I started watching it again and things had gotten much more intense as well as involved. Short version of the story....I got hooked. My favorite episode was "The Unusual Suspects" and featured my favorite supporting players, The Lone Gunmen. I was excited when they announced a spin-off series featuring the three conspiracy nuts....that is, until I watched the first few episodes. Fox totally screwed the pooch...again......and on a Fireflyian scale. It was terrible and it was a relief that it only went on for thirteen episodes. "Remember the X-Files....just remember the X-Files." Glad you went back to it! Excellent show, even if the last couple seasons weren't that great. One of the best shows amongst the many shows made in Vancouver. Ah yes and Xena. Of course, "Xenaphobia" is the fear of a warrior princess. I liked the first season okay; it was pretty much focused on aliens. It was the second season that went off into the whole "monster of the week" thing, and I completely lost interest. Never went back. I think it was the first show I properly got into. Lost interest when the original pairing got "retired", though. I was OBSESSED with this show! My friends and I used to "play Xfiles" in the fields and pretend to hunt down UFOs and the like. Glad you went back to it! I loved the series, but didn't care too much for the movie. I really want to watch that. I probably was watching football Sunday nights and just didn't tune in. I was a huge X-Files fan. I liked it better as the series went on too. Until Mulder and Scully left. I was big on Xena too. I love both X-Files and Xena. But it was only relatively recently that I saw the whole series (of X-Files) all the way through, after buying it all on DVD. I actually loved the last two seasons with Doggett, even though I was worried I wouldn't due to Sculder not being around (mostly) anymore. But I love Doggett and Reyes together. I still have Mulder and Scully action figures on my desk at work. This is one of my favorite shows of all times. Have you every watched just the alien mythology episodes in a row? It's cool to do. I think the list is on Wikipedia. I loved the X-Files too. I think more along the line of Mulder and The Hubs is all Scully. The truth is out there!! The X Files are making a splash today. And I know why. It was a great show and the first that pops into the mind of an A to Zer on X day!